Stuart Barr is a Creative Industries entrepreneur and Conductor, fresh from a year’s sabbatical at Cambridge University Judge Business School, taking an MBA in Culture, Arts & Media Management. Stuart is passionate about the synergy of creativity and technology and in early 2018 he founded nSpireMe to help children accelerate their learning of an instrument by developing practice apps. He raised £0.3m in venture capital from Forward Partners Applied AI fund, and nSpireMe’s first iPad app, Let’s Play Violin is available now on the app store. As a conductor, he works at the intersection of classical and popular music, with many leading British orchestras. He was musical director to Dame Shirley Bassey from 2009-2016, and conducted and produced her final album for RCA, and performed at live and televised events worldwide from the Oscars, the Queen’s Diamond Jubilee to Carnegie Hall. He was Chair of the London Youth Choir for 3 years – the capital’s flagship youth music project – and is a former President of the British Voice Association. For 15 years, he was on the professorial staff at the Royal Academy of Music as a vocal coach. He is also an occasional broadcaster and writer on musical matters: and recently presented the BBC Radio 4 documentary on composer Angela Morley. His daughter Izzy and Stuart came second on Channel 4’s Legomasters 2018, including a master build entitled “Change The World” displayed in the Design Museum. 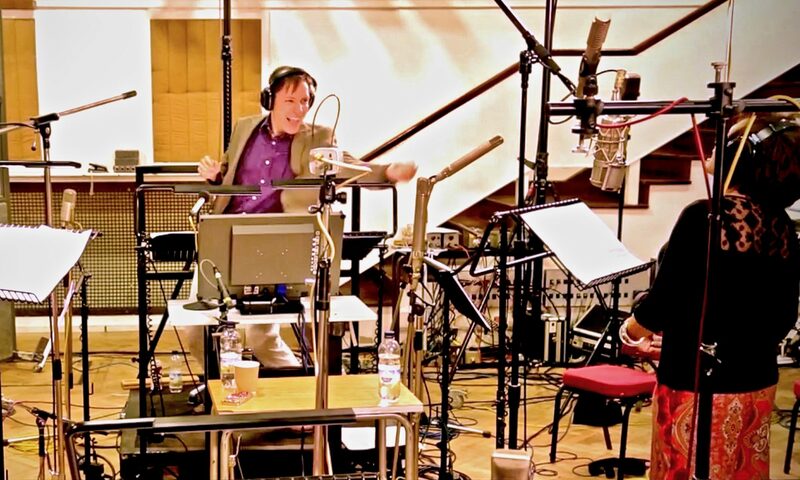 Stuart has conducted diverse artistes from Dame Shirley Bassey, Alfie Boe, Andrea Bocelli, Paloma Faith, Elton John to Sting. From 2009 to 2016, he was Dame Shirley Bassey’s musical director and conducted her worldwide from the Oscars, Carnegie Hall, the Royal Albert Hall, the Queen’s Diamond Jubilee at Buckingham Palace, Wales Millennium Stadium, the Cannes Film Festival to the Monte Carlo Opera House. TV performances included Strictly Come Dancing, Graham Norton Show and the Royal Variety Show. As well as collaborating with many major British orchestras on these projects, he has also guest conducted the BBC Concert Orchestra and Royal Philharmonic Orchestra in concerts of classic film and stage music. Stuart was the non-Exec Chairman of the London Youth Choir from 2016-2018, nurturing it through its transition from start-up to a flagship youth project for the capital. Championing both excellence and diversity, it brings together over 250 young singers aged 7-21 from across London in a pyramid of five choirs, and helps thousands more each year in educational projects across London. To build corporate governance and team-working culture, Stuart recruited a high-calibre board and Executive Director, and oversaw extensive organisational change and fundraising expansion. He was President (Exec Chair) of the British Voice Association 2009-2010, which brought together the country’s leading singing teachers, voice researchers and medics to champion the latest voice research. He founded Roar of the Crowd Ltd: designing corporate singing workshops for blue-chip clients from McKinsey, BT, EE, EY, Interserve, to the London Organising Committee for the Olympic Games. He recruited a led a team of facilitators to deliver workshops for over 10,000 participants over 5 years. He has produced or curated many musical events, from albums through to St George’s Day concerts in Trafalgar Square. Stuart has a passion for bringing together leading stakeholders in the Creative Industries. At Judge Business School, he recently chaired a round table with the then Digital Minister, Matt Hancock; and interviewed the CEO of IMDb, Col Needham. Stuart has contributed to many radio and TV programmes on music and voice across the BBC and Channel 4. 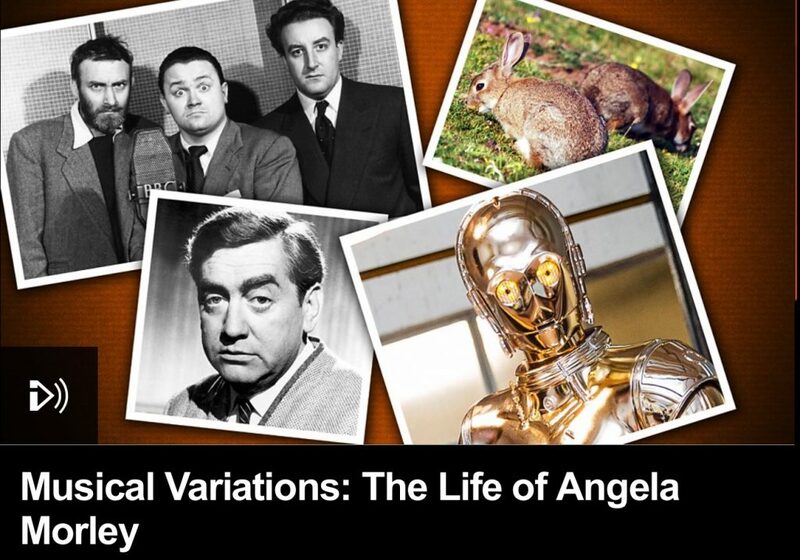 Click below to hear his BBC Radio 4 documentary on the extraordinary life and music of Angela Morley (a.k.a Wally Stott). He was on-screen mentor for C4’s landmark series Hidden Talent: finding objective ways to root out latent singing talent. The story of how a hand injury led to his retiring from playing piano in public to becoming an EdTech entrepreneur is available in this podcast . At the other end of the production process, his daughter Izzy and he were finalists in Legomasters 2018, building extraordinary Lego models, including their master build “Change the World”, which was displayed in the Design Museum.